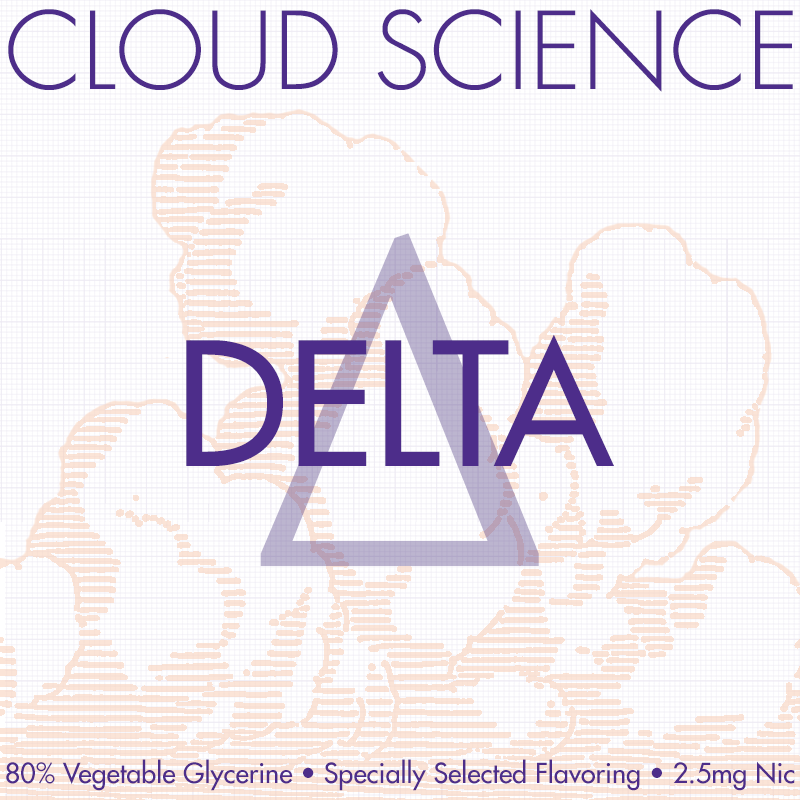 Delta is the sweetest juice in Cloud Science. A juice line created to serve two crowds - those that blow clouds and those at the low end of the nic scale that have a mild PG allergy. Containing 80% vegetable glycerine and specially selected pg-based flavoring, Cloud Science sets a new standard for cloud-chasing. The flavor of Delta is best described as a cobbler filling. We take richness of blueberry and acai and cut it with nectarines. We sweeten it up, reduce it, and what's left is the perfect filling. PROTIP: Mix Delta with Beta for a delicious new flavor. Experiment with ratios, but we're partial to 50/50. The same goes for Alpha and Delta!